Studio Indigo is proud to announce the achievement of a challenging planning permission for a grand 10,000sq. 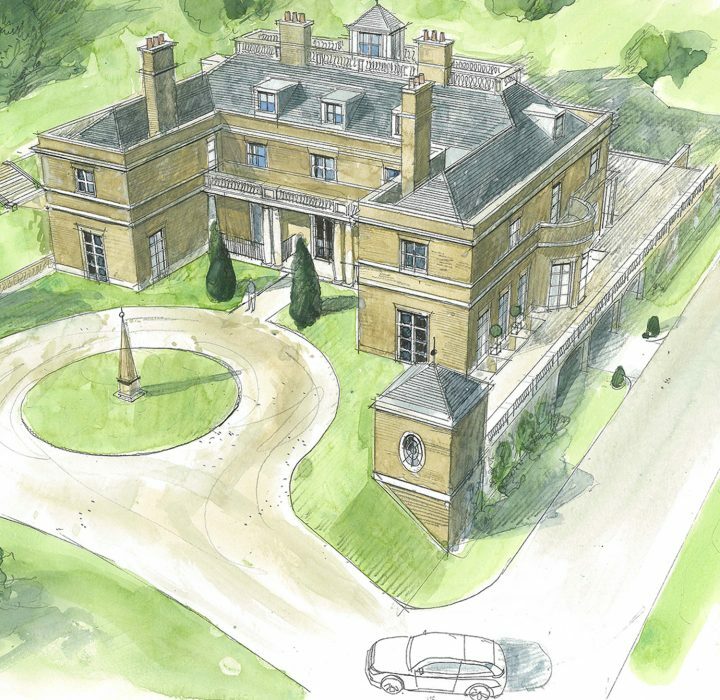 ft new-build home within a greenbelt area in Surrey. 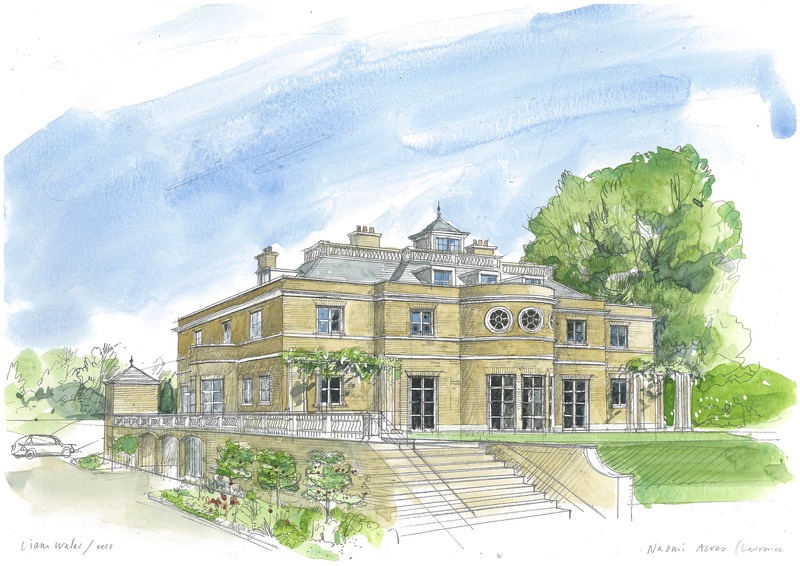 The Client approached the Studio with a planning application for a 7-bedroom house that had been previously approved in 1986. However, the design was dated and not ideal for a modern family’s way of living. Studio Indigo was asked to redesign a replacement home that would suit the family’s needs and sit well within the beautiful surrounding landscape. As part of the application process, we also had to undergo an extensive pre-planning application. The new design included a shift in location within the grounds amongst other new aesthetic design elements. One of the biggest challenges of this application was the greenbelt zone which meant extra care and sensitivity had to be applied when dealing with the environmental impacts of a new dwelling. Studio Indigo worked extensively with planning consultant Christian Leigh and a number of ecological experts to make sure that no aspects of the building impacted on the ecology of the site. The result is a refined home reminiscent of the Georgian period that seamlessly blends within the existing landscape and is perfect for the Client’s large family. We are now looking forward toward the second phase of the application process. Studio Indigo would like to thank planning consultant Christian Leigh and the Mole Valley Planning Authority for all their help during this process.